From the outside Washed Up Car-Go by the artist Chris Dobrowolski might seem like an ordinary car parked in an ordinary car park. But sidle closer and you will find it filled with the tideline of Hastings beach, bringing the outside inside. 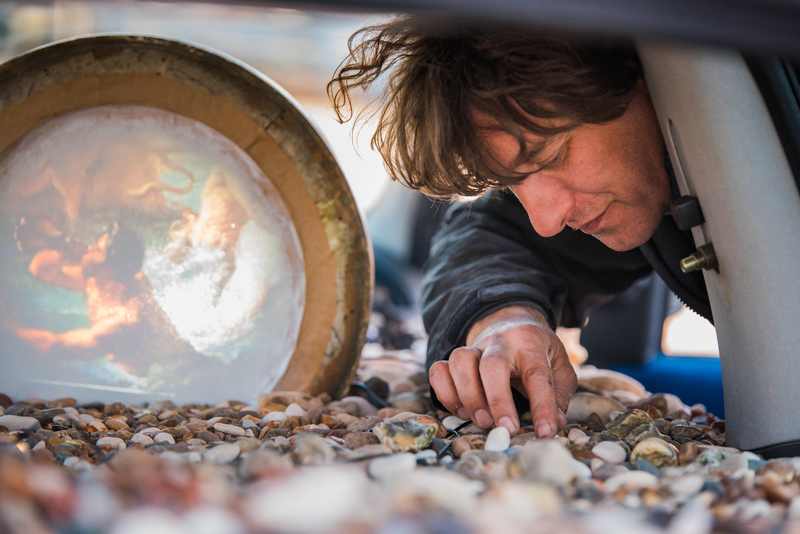 And there’s more hidden amongst the sand…Featuring iconic Hastings landscapes and toy sea creatures Washed Up Car-Go is an art installation with a sense of humour. 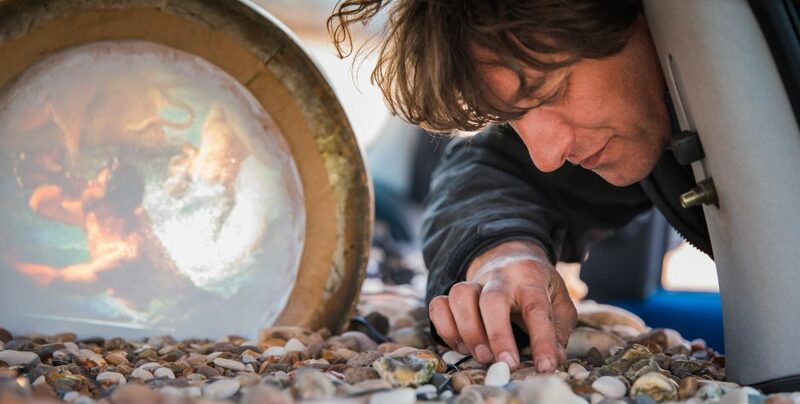 Using film, music and a lot of local pebbles it asks us to think about plastic pollution, consumerism and the tradition of maritime art. Washed Up Car-Go will run for the whole of September and is free to experience, no booking required. Join us at the Washed Up Car-Go Launch Event where there will be the opportunity to experience the artwork and chat with the artist. Refreshments will be served. Washed Up Car-Go is part of Season for Change, a UK-wide programme of cultural responses celebrating the environment and inspiring urgent action on climate change. It was originally commissioned for Hull UK City of Culture 2017 in partnership with The Deep. Washed Up Car-Go is produced by Artsadmin.